Henryk Wieniawski was born on 10 July 1835 in Lublin. Wieniawski owes his early introduction to the world of music to his mother, Regina, a professional pianist and the daughter of a Warsaw physician. His mother was also the driving force behind his musical training and subsequent development into a violin child prodigy. At the age of five he began violin lessons and three years later was admitted to the Paris Conservatory, overcoming the obstacles of being underaged and of foreign nationality. After completing with gold medal the accelerated course of study at the Conservatory he remained in Paris perfecting his technique under the care of professor Joseph L. Massart. It was then that he met in his mother’s Paris salon of the two most famous Polish emigrees: Adam Mickiewicz (poet) and Fryderyk Chopin. 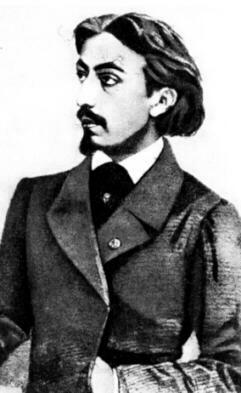 Wieniawski’s first, somewhat childish,compositions were written during that time (he was thirteen years old). He returned to the Paris Conservatory and was joined by his brother Josef, where both studied composition until 1850. Wieniawski then embarked upon the unrelenting schedule of concert tours and performances which he was to continue almost throughout his life. While traveling he met Belgian violinist and composer Henri Vieuxtemps; a fellow Pole, Stanislaw Moniuszko, to whom he dedicated Allegro de Sonate op.2; Karol Lipinski, another Polish violin virtuoso and competitor of Paganini; also Robert Schumann and Anton Rubinstein. The latter was instrumental in securing for Wieniawski a three year contract as the soloist of the court and court theaters in St. Petesburg. Wieniawski’s arrangement in St Petersburg was later extended three more times (each time on terms more favorable to the artist) so that he resided there with his family from 1860 until 1872. While fulfilling the terms of his contract he also became involved as a teacher in the Russian Music Society run by his friend Anton Rubinstein and directed a newly founded string quartet. Through these various means he exerted a lasting influence on the development of the Russian violin school. The terms of the contract allowed Wieniawski extensive travel time during the spring and summer when he continued touring Europe on a busy schedule of concerts and social appearances. In 1872, after his last contract in St. Petersburg had run its course, he resumed the life of the traveling virtuoso with a two-year tour of North America. Upon his return in 1875 he accepted a position of the professor of violin at the Brussels Conservatory but still maintained an extensive calendar of traveling and performing engagements. Since his North American tour, which exhausted him, his health continued to deteriorate. He died of an aggravated heart condition on 31 March 1880, in Moscow, in the midst of yet another concert tour. He was forty five at the time of his death. During his life time he was unquestionably considered “a violinist of genius,” an artist of great individuality, intensity of expression, and original technique. The influence of his technique is still evident in the style of some violinists of the Russian School. The comparatively modest body of compositional work which he left behind attests to the demands of the life of the traveling virtuoso. Compositional forms favored by Wieniawski are consistent with the trends of his times. He composed variations, fantasies, capriccios, larger forms, such as concertos, and smaller lyrical forms (also called pieces de salon) – elegies, reveries, miniatures . In most of his early compositions, including the violin Concerto in F-sharp minor (1853), he put emphasis on technical difficulty and virtuoso effects. They were performance pieces which he composed with himself as a performer in mind. His work from these early years is said to exhibit the various influences of Paganini, Ernst and Vieuxtemps. Wieniawski’s grueling travel and concert schedule obviously interfered with his work as a composer. The relatively stable period of his residence in St. Petersburg (1860-1872) yielded the finest of his compositional works: Etudes-caprices op.18, Polonaise Brillante op.21, and the Second Violin Concerto in D-minor. The latter, a small masterpiece, has become a standard in the violin repertoire. While demonstrating the virtuoso possibilities of the violin technique,the composition is also characterized by Romantic lyricism and passionate melodic expression. Wieniawski’s interest in creating a “national” style of Polish music is evident in the mazurkas and polonaises he continued to compose throughout his career. In those works the influence of Chopin and Wieniawski’s own genius produced a singular combination of noble simplicity of melodic line and mature, artistic sophistication. This great virtuoso-composer remains well respected today; in Poland his name is honored by International Competitions for violinists and violin-makers, held every five years in Poznań. (For more information check our list of Competitions). Op. 1 – Grand caprice fantastique sur un theme original, ded. to Lambert Massart; 1847, published: Paris, Launer, Girod, Fromont. Op. 2 – Allegro de Sonate. Presto pour violon et piano concertant by brothers Henryk and Joseph Wieniawski, ded. to Stanislaus Moniuszko; 1948, published: Lipsk 1851, Kistner. Op .3 – Souvenir de Posen, Mazurek D-minor, ded. to Jeanetted de Niemojewska; 1854, published: Kalish 1854, Hurtig. Op .4 – Premiere polonaise de concert D-dur, ded. to Karol Lipinski; 1852, published: Braunschweig 1858, Litolff; Paris, Girod. Op .5 – Adagio elegiaque A-major, ded. to Adolf Haaren; 1852, published: Braunschweig 1853, Litolff. Op .6 – Souvenir de Moscou. Deux romances russes par Warlamow transcrites et variees, ded. to Wincenty Bobrowki; 1852, published: Braunschweig 1853, Litolff. Op .7 – Capriccio-Valse E-dur, ed. to Teresa Milanollo; 1852, published: Lipsk 1860, Kistner; Paris, Girod. Op .8 – Grand duo polonais pour violon et piano concertant by brothers Henryk and Joseph Wieniawski, ded. to Louis Kohler; 1852, published : Berlin, Bote & Bock. Op .9 – Romance sans paroles et Rondo elegant, ded. to Maksymilian of Bavaria; 1852, published: 1853, Lipsk, Kistner; Paris, Girod. Op .10 – L’ecole moderne. Etudes-caprices pour le violon seul, ded. to Ferdinand David; 1854, published: 1854, Lipsk, Senff. Op .11 – Le Carnaval russe. Improvisations et variations humoresques, ded. to Tzar Nicolas I; 1853, published: 1853, Lipsk, Kistner. Op .12 – Deux mazourkas de salon: La champetre (1850?) et Chanson polonaise (1853); published: 1853 (? ), Lipsk, Kistner. Op .13 – Fantaisie pastorale; 1853, published: (?) Lipsk, Kistner (manuscript and copies lost). Op .14 – Premier grand concerto fis-moll, ded. to the king of Prussia; 1852, published: 1853, Lipsk, Kistner. Op .15 – Theme original varie, ded, to Raymond Dreyschock; 1854, published: 1854, Lipsk, Breitkopf and Hartel . Op .16 – Scherzo-tarantelle g-moll, ded. to Lambert Massart; 1855, published: 1856 Lipsk, Kistner. Op .17 – Legende, ded. to Isabel Hampton (who later became composer’s wife); 1859, published: 1860 Lipsk, Kistner; Paris, Girod. Op .18 – Etudes-Caprices for two violins; 1862, published: 1863, Lipsk, Kistner. Op .19 – Deux mazourkas caracterisstiques; Obertas et le Menetrier; 1860, published: Mainz, Schott. Op .20 – Fantaisie brillante sur ‘Faust’ opera de Charles Gounod, ded. to the king of Dennmark; 1865, published: Lipsk, Kistner. Op .21 – Polonaise brillante A-major, ded. to Karl XV, King of Norway and Sweden; 1870, published : 1870. Op .22 – Deuxieme grand concerto D-minor, ded. to Pablo Sarasati; published: 1870, Mainz, Schott. Op .23 – Gigue E-minor; published posthumously. Op .24 – Fantasie orientale A-minor, ded. to Jeno Hubaynow;1862(? ), published posthumously. Kujawiak C-major,1852, published 1853, Kalisz, Hurtig. Kujawiak A-minor; 1853, published 1853, Lipsk, Kistner. Reverie F sharp minor pour alto et piano, ded. to H. Weickmenn (finished by Weickmann in 1885); published 1885, Lipsk, Rachter. Night violin transcription of Romance by A. Rubinstein, published after 1860. Cadence to Concerto No.22 by Viotti, 1861; published after 1930. Variations on the theme of the Austrian national anthem, 1853; published 1854. Souvenir de San Francisco, ded. to Conchita Blum Gomez, 1874; published 1874, San Francisco, Morrison. Rozumiem,(I Understund) composition for voice and piano to the text by D. Minasowicz, ded. to Ludwika Turno, 1854, published Posen, Bote & Bock. Polonaise triomphale; 18(?) published Paris, Le Boulch. Aria and variations E-major 1846; lost. Variations on his own mazurka, 1846. Variations on the theme of ‘Jechał Kozak z za Dunaju,’ 1848. Nocturne pour violon seul, ded. to Angelice de Roenne, 1848. Rondo alla polacca E-minor, 1848. Fantasy and variations in E-major, 1848. Fantasy on the theme from the opera ‘The Prophet’ by Meyerbeer, 1948. Fantasy on the theme from the opera ‘Richard the Lion Heart’ by Gretry, 1851. Fantasy on the theme from the opera ‘ La sonnambula’ by Bellini, 1855. Duo concertant on the theme of Russian folk melody – joint composition of Henryk and Joseph Wieniawski, 1850. Village Mazur, ded. to grand duchess Helena Pawłowicz, ca.1850. Duo concertant on the theme from the opera ‘Lucia di Lammermoor’ by Donizetti, – joint composition of Henryk and Joseph Wieniawski, 1850. Duo concertant on the theme of the Russian national anthem by A. Lwów – joint composition of Henryk and Joseph Wieniawski, ca. 1850. Variations on the theme of the Russian national anthem, ca. 1851. The Carnival in Venice (transcription), 1850. Adagio elique and Polonaise a la gualdiera ca. 1854. Cadence to Concerto no.7 by Rode, ca. 1848. Cadence to Concerto no.2 by Lipiński, ca. 1850. Cadence to Concerto by Mendelssohn, 1853. Cadence to Concerto by Beethoven, ca. 1854. Cadence to Concerto no.5 by Vieuxtemps, ca. 1864. Cadence to Concerto F sharp minor by Ernst, ca. 1860. J. Heifetz, Violin “Jascha Heifetz: Concerto Recordings, Vol.2” J. Barbiroli, Conductor; London Philharmonic Orchestra; E. Goossens, Conductor; Cincinnati Symphony Orchestra; S. Koussevitzky, Conductor; Boston Symphony Orchestra; PHS 2-9167. J. Heifetz, Violin “J. Heifetz in the Golden Thirties, Vol. 1.” J. Babirolli, Conductor; London Philharmonic Orchestra; GRM2 78511. E. Morini, Violin; F. Waldman, Conductor; Musica Aeterna Ensemble; ARBT 106. I. Oistrakh, Violin; F. Konwitschny, Conductor; Leipzig Gewandhaus Orchestra; BER (Dokumente) 2131. V. Prihoda, Violin; BID 135. M. Schwalbe, Violin; S. Skrowaczewski, Conductor. Swiss Romande Orchestra; BID 164. G. Shaham, Violin; L. Foster, Conductor; London Symphony Orchestra; Also including Concerto no. 1; Legende; DEUT 31815. I. Stern, Violin; ENT (Strings) 99387. I. Stern, Violin “Isaac Stern: A Life in Music” E. Ormandy, Conductor; Philadelphia Orchestra; SNYC 66830. B. Zwicker, Violin; H. Adolph, Conductor;Munich Symphony Orchestra;PC 267150. H. Lindemann, Viola “Hommage a Primrose” B. Martin, Piano; No. 4 in a, “Alla tarantella;” TACE 45. M. Bisengaliev, Violin; A. Wit, Conductor; Polish National RSO Katowice; Also including Concerto no.1 and 2; NXIN 8553517. V. Brodsky, Violin; A. Wit, Conductor; Polish National RSO Katowice; Also including Concerto no.1; Kujawiak; Mazurkas; Scherzo-tarantelle; AART 47313. J. Madroszkiewicz, Violin; M. Wagner-Artzt, Piano; Also including Gigue; Kujawiak; Legende; Mazurkas, op. 12, 19; Polonaise 1 op. 4; Polonaise2, op. 21; Romance sans paroles, op.9; Scherzo-tarantelle; MDG 6030863. R. Ricci, Violin “Fantaisies Fantastiques” G. Brott, Conductor; SWF Symphony Orchestra; ONEL (Essential Performance Reference) 96050. J. Madroszkiewicz, Violin; M. Wagner-Artzt, Piano; Also including Fantasie rillante; Kujawiak; Legende; Mazurkas, op. 12, 19; Polonaise 1, 2; Romance san paroles; Scherzo-tarantelle; MDG 6030863. M. Bisengaliev, Violin; J. Lenehan, Piano; Also including Souvenir de Moscou; Capriccio-valse; Theme original varie; Polonaise 1, op. 4; Carnaval russe; saltarello; Mazurkas op. 12 no. 2 in g; op. 19, no. 1 in G; NXIN 550744. V. Brodsky, Violin; A. Wit, Conductor; Polish National RSO; Also including Concerto no.1 ; Fantasie brillante; Mazurkas, op.19; Scherzo-tarantelle; AART 47313. J. Madroszkiewicz, Violin; M. Wagner-Artzt, Piano; Also including Fantasie brillante; Gigue; Legende; Mazurkas op.12, 19; Polonaise 1, 2; Romance sans paroles; Scherzo-tarantelle; MDG 6030863. R. Ricci, Violin; J. Gruenberg, Piano; Also including Legende; Mazurkas op. 19 no. 1; Polonaise 2 op. 21; 1, op. 4;,Souvenir de Moscou; Scherzo-tarantelle; Theme original varie;; UNIC 2048. Page updated on 26 June 2001.